By then, College Street west of Bathurst was beginning to explode with trendy lounges, restaurants and shops opened alongside Little Italy mainstays. But it was a different story for the strip of College that lies north of Kensington Market. “We wanted a place where the coffee was always strong and good, a place where a woman would always feel comfortable sitting solo while having a drink at the bar, and a place where the music was never an afterthought,” Cassidy adds. 52 inc interior. Photo courtesy of Kate Cassidy. The storefront building with beautiful, high ceilings housed a unique social space as the women of 52 inc. made the most of their one-thousand-square-feet. Designer Carina Rose worked with Katz and Cassidy to create a warm wooded space accented by tiles, lighting fixtures and other materials, including the infamous mermaid glass shower doors that divided the venue, repurposed from a demolished 1950s North Toronto bungalow home. 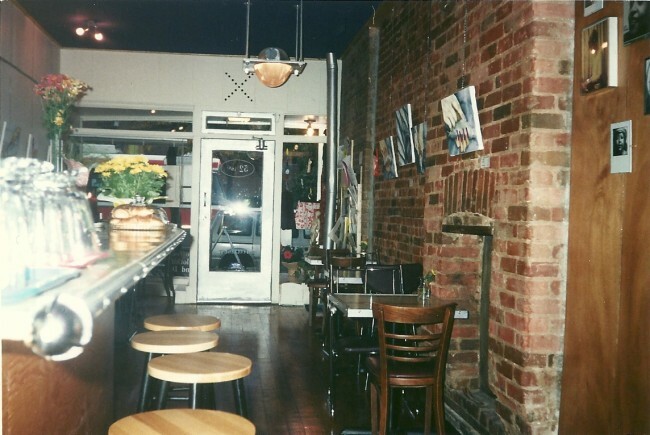 For lots of us living in the area—I rented on Brunswick north of College for 15 years—52 inc. was a huge boon with its thoughtful menu, welcoming vibe and novel nightlife. Open six days a week, with events on most evenings, 52 inc. meant many things to many people. 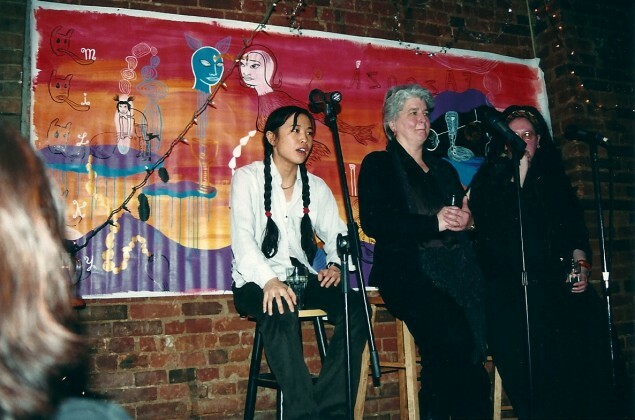 Why it was important: Cassidy and Katz were actively committed to feminist ideals, the promotion of local artists, and the desire to bring communities together. As a result, 52 inc. featured everything from live jazz to debates, discussions and DJs. Visual artists and graphic designers including Fiona Smyth, Cecilia Berkovic, Suritah Wignall and Noel Nanton created work for 52 inc. Smyth also participated in an afternoon discussion with artist Sook-Yin Lee and former Toronto mayor Barbara Hall. Local clothing designers like Sim & Jones—who had a shop of their own just doors down—helped organize ‘subversive’ fashion shows. Sundays boasted popular open mic night Mocha Lounge’n where DJs Blanco, Son of S.O.U.L., K.I., K.Rafike and others were joined by spoken word artists such as Dwayne Morgan, Jemeni, El Machetero, Clifton Joseph and Hajile Kalaike. Kalaike later went on to host Sundays and continue the spoken word tradition. There were also book launches, art openings and activist talks. Sook-Yin Lee and former Toronto mayor Barbara Hall. Photo courtesy of Kate Cassidy. 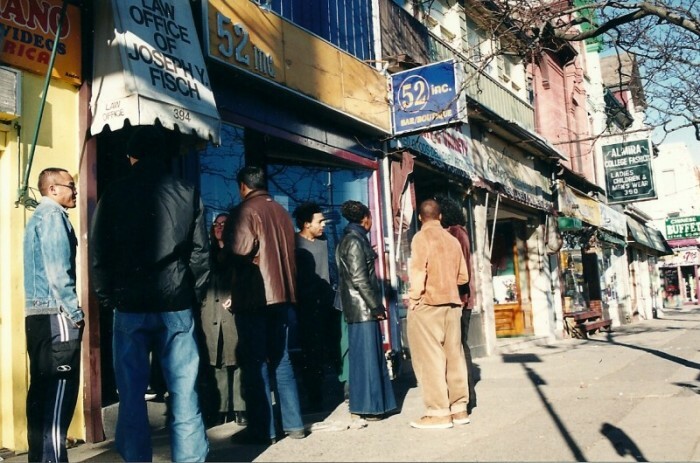 52 inc. was also one of the first small bars in the area to feature DJs nightly. 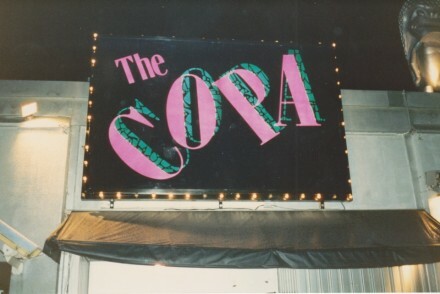 Paul E. Lopes was the first weekly resident, with other early musical contributors including Mike Tull, DJs Kola and Serious, Mike Klaps and John Kumahara. Like Lopes, Tull played regularly both at the College Street location and many of the larger 52 inc. events held elsewhere. College Street in the mid-90s. Photo courtesy of Kate Cassidy. That’s no braggadocio. 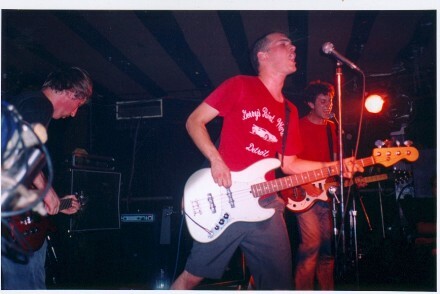 Bands including LAL performed. 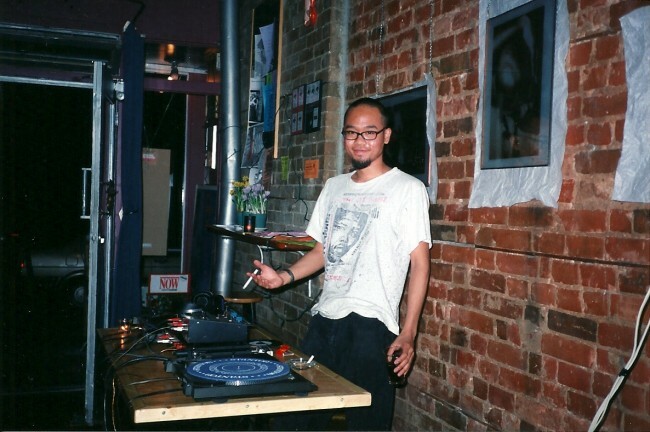 On the DJ front, dozens and dozens played for a 52 inc. gathering at some point: Nick Holder, deejay nav, Jason Palma, John Kong, Groove Institute, Malik X, Moonstarr, Moodswing, and Noel Nanton are but some of the names. 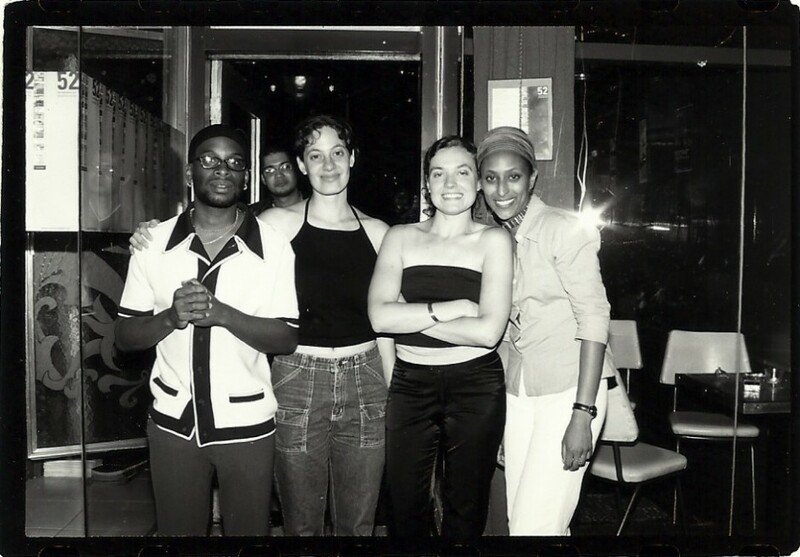 52 inc. had very close ties with DJs from Toronto’s three community radio stations, with myself and fellow CKLN hosts like Nik Red, Karen Augustine, DJ Zahra, Ray Prasad and Verlia Stephens also mixing it up. DJ Moodswing. Photo courtesty of Kate Cassidy. 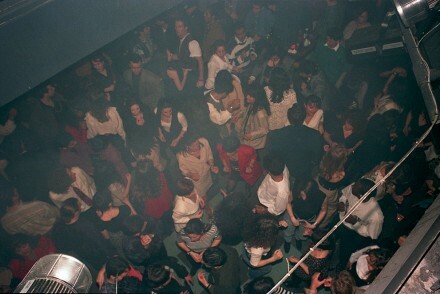 To that end, the women of 52 inc. expanded their reach by producing ambitious events at external venues, including warehouse spaces like The Mockingbird and Roxy Blu, where they were one of the first promoters to host regular events. There, 52 inc. presented a sold-out show by Philly poet Ursula Rucker, spearheaded two massive grassroots fundraisers dubbed Shake:Body (both featured close to 30 DJs and performers), and hosted a series of epic DJ Battles complete with props, ropes and Paul E. Lopes as referee. 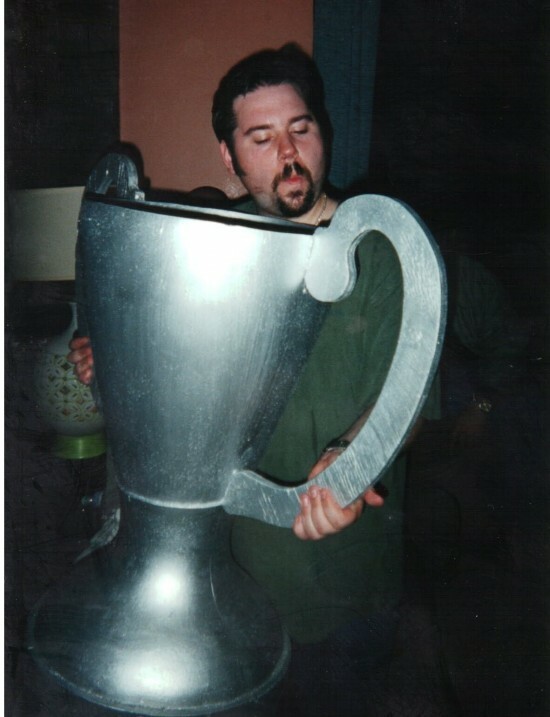 DJ Jason Palma poses with the giant DJ Battle trophy. Photo courtesy Paul E. Lopes. The Cloak and Dagger Pub opened soon after. Katz has since worked as a community organizer in a variety of capacities. She currently works for a health centre and is concerned with the creation and preservation of community centres and public spaces. Cassidy, mother to a 20-month-old daughter, will contribute music-programming ideas to friends soon set to open the Midfield Wine Bar and Tavern at Dundas and Gladstone. We have s small collection of flyers from 52inc.